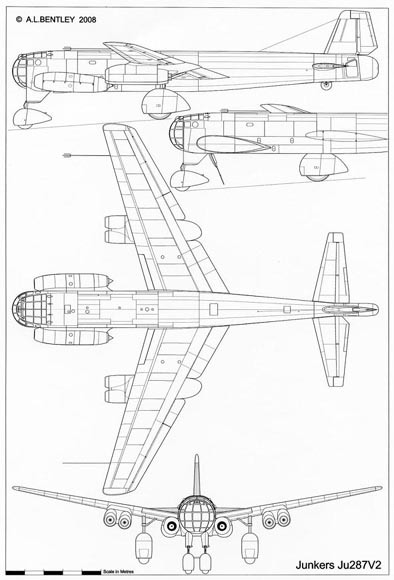 The Junkers Ju 287 was a Nazi Germany aerodynamic test bed built to develop the technology required for a multi-engine jet bomber. 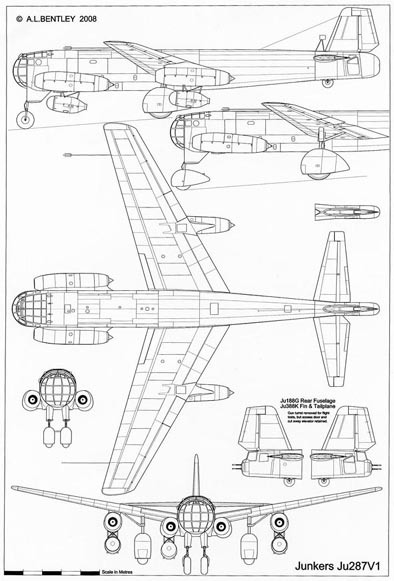 It was powered by four Junkers Jumo 004 engines, featured a revolutionary forward-swept wing, and apart from said wing was assembled largely from components scavenged from other aircraft. 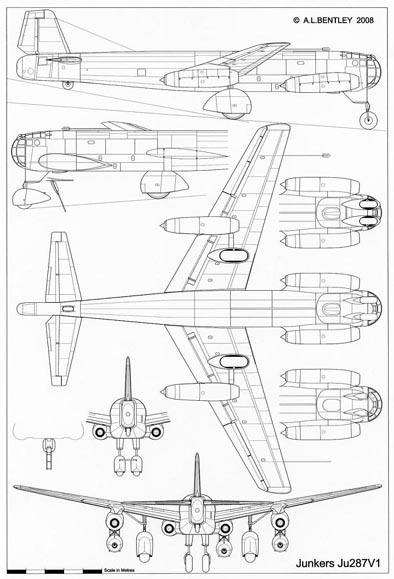 The unfinished second and third prototypes, which far more accurately reflected the design of the eventual production bomber, were captured by the Red Army in the closing stages of World War II and the design was further developed in the Soviet Union after the end of the war.